The benefits of bitter herbs include supporting and promoting good digestion. This is highly important since proper digestion is at the heart of all vibrant health. Bitter herbs aid in the digestion of proteins and fats. These herbs are beneficial for digestive issues due to overwork or lack of exercise. They are also helpful when there is digestive weakness due to infections. For those that overeat during the holiday season, you’ll want to have your bitter herbs at hand. They help reduce associated cramps, bloating, gas and constipation as well as heartburn. They also resolve irritable bowel syndrome and help normalize bowel movements. The benefits of bitter herbs are numerous. Bitter herbs contain compounds that activate digestive juices including enzymes and bile, preparing the body to digest your food. The taste of bitter on your tongue sends a reflex signal through the vagus nerve to wake up the liver. Bitter herbs work in three primary ways: increasing production of bile by the liver, increasing the flow of bile from the gallbladder or increasing the contraction of the bile duct. Simply eat some bitter herbs before your meal. A great way to do this is by mixing bitter greens into your salad such as dandelion, arugula, endive, escarole, watercress, chicory as well as turnip and mustard greens. You can also take bitter herbs as a tincture, which are appropriately called “bitters”. These are traditionally made with herbs and alcohol to extract and preserve the beneficial properties. This way of taking bitters has a long history as medicine, traceable back to the ancient Egyptians. They are ideally taken 10-30 minutes before eating, however can be taken after as well. ½ to 1 teaspoon is all it takes. Alcohol extracts are often made with herbs that are selected for their effectiveness as well as for their flavor. They can be served in 1 ounce sizes with or without ice. When these great tasting concoctions are served before meals they are called an aperitif. When served after a meal, they are digestifs. Use bitter herbs over time as a tonic to maintain digestive health or take for acute situations. The herbs mentioned below are all very safe. The only caution would be that those with acute gallstones should avoid bitters. Also see caution for gentian root. Artichoke leaves: One of the most well-known bitters. Artichoke also helps protect the liver from toxins as well as to help regenerate liver cells. Gentian root: One of the strongest bitters. Stimulates the flow of digestive juices including saliva, gastric, liver, pancreatic, and intestinal secretions. Gentian should be avoided by those with high blood pressure and pregnant women. Dandelion leaves and root: Increases both production and flow of bile. Dandelion root helps to cleanse and repair the liver. Burdock root: A mild, yet effective bitter. Burdock supports healthy liver function and healthy skin. Milk thistle seeds: One of the best bitters for supporting healthy liver function. Milk thistle helps heal the liver by generating new cells and protecting them from toxins. Orange or lemon peel: A gentle bitter, but one of the best tasting. Ginger rhizome: Stimulates digestion and is used for a number of acute gastrointestinal issues, especially nausea. Turmeric rhizome: Increases production and flow of bile as well as increasing the contraction of the bile duct. Helps protect the liver from toxins. Other bitter digestive herbs include angelica, wormwood, blessed thistle, yarrow, cinchona bark and devil’s claw. You can purchase ready-made bitters or make them yourself. Making them is quite easy and will save you a great deal of money. This also allows you to experiment and create what tastes best to you. Here are some tips and a sample recipe. Many bitter herbs are cooling to the system, causing the digestive system to contract. 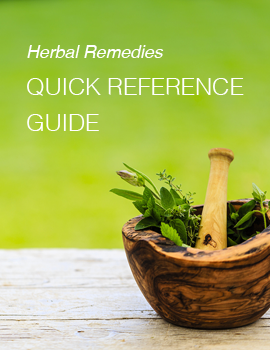 Therefore, many bitters formulas add in warming herbs that also promote good digestion. This includes ginger, cinnamon, cardamon or fennel. You can invent your own recipe adding fruits and many other flavors. Just make sure that at least 50 percent of the ingredients are bitter herbs and that the final extract has a bitter taste to it. Enough vodka or brandy to fully cover the herbs. Place all of the ingredients in a jar with a tight fitting lid. Let sit for six weeks. Use cheesecloth to strain the herbs into another clean jar, squeezing out all of the liquid. Reserve the liquid and compost the herbs. Store in a jar with a tight fitting lid in a cool dark place. Dropper bottles can be used for convenience. Note: A “part” is any unit of measurement. If you are making a small batch, a part may be a teaspoon. If you are making a large batch, a part may be a cup. Mowrey, Daniel, B., Herbal Tonic Therapies. New Canaan: 1993, Keats Publishing, Inc.
What herbs are good for soothing inflamed gums caused by braces? While I do not offer individual medical advice here on my blog, I will mention that in general, powdered cloves are effective for sore, inflamed gums. Suggested cautions for taking bitters when gallbladder has been removed? There are no specific cautions for those whose gallbladder has been removed, although a qualified holistic practitioner should be consulted for a complete assessment since I’m not able to do that. I will however mention that bitters do help with production of bile from the liver and help with digestion of fats even if the gallbladder is no longer there.